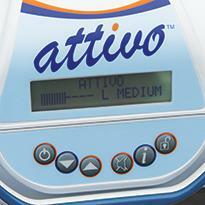 ATTIVOTM seating systems provide active pressure relief for all patient types in every care environment. 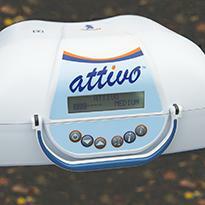 The ATTIVO seating systems comprise the ATTIVO power unit and either the B.A.S.E.® SEQUENTIAL cushion or the B.A.S.E. 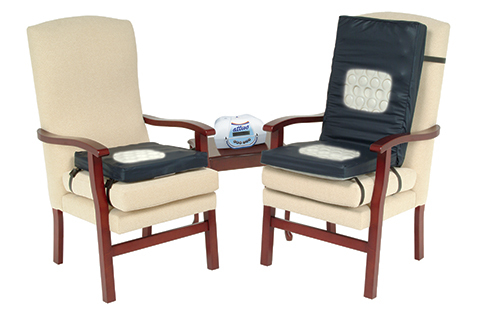 RECLINER MAT, which provides a therapeutic support surface for the back as well as the seat. 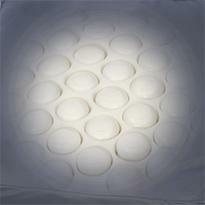 The cushions feature an active, adaptive surface which provides pressure relief and comfort and can be used equally successfully in wheelchairs or armchairs. The versatile ATTIVO power unit benefits from dual-power technology, offering a seamless choice of mains or battery operation. The integral battery will operate the power unit continuously for at least 24 hours when fully charged. This enables the cushion to function for long periods away from a mains power supply, making it fully mobile for use with a wheelchair, as well as providing long-lasting power back-up, if mains power is unavailable. The simply designed interface and easy-touch buttons allow the carer to control all essential functions such as the Soft, Medium or Firm comfort settings, which are displayed on the LCD screen, together with current operation status / fault conditions. The power unit also features audio alerts. The B.A.S.E. cushions feature strips of interconnected air-filled bellows, supported by a flame retardant foam surround. These bellows act as ‘air springs’, tilting and compressing, as the free movement of air between them allows each one to conform to the body’s contours to provide reactive therapy, promoting a more even distribution of pressure. As well as providing a reactive support surface, a 1-in-4 cell cycle provides active therapy to give pressure relief, helping to promote circulation to areas normally occluded during prolonged seated periods. 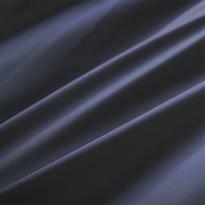 The multi-stretch cover material is waterproof, moisture-vapour permeable and all seams are welded to protect the inside of the cushion from fluid ingress. 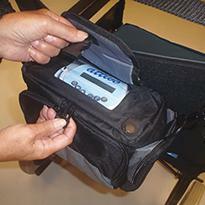 Each ATTIVO system is supplied with a carry case which easily attaches to a wheelchair to allow the client full mobility while using the seating system. The ATTIVO seating systems offer a choice of dual-powered cushions to provide pressure relief and reduced interface pressures for all patient types within all care environments. Choice of either the B.A.S.E. 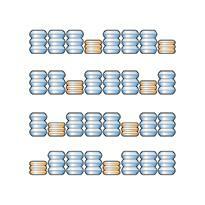 SEQUENTIAL cushion or the B.A.S.E. 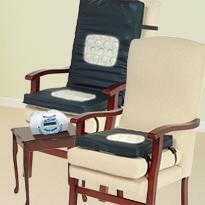 RECLINER MAT, which provides a therapeutic support surface for the back as well as the seat. The cushions feature an active, adaptive surface which provides pressure relief and comfort and can be used equally successfully in wheelchairs or armchairs. The versatile ATTIVO power unit benefits from dual-power technology, offering a seamless choice of mains or battery operation. The integral battery will operate the power unit continuously for at least 24 hours when fully charged.